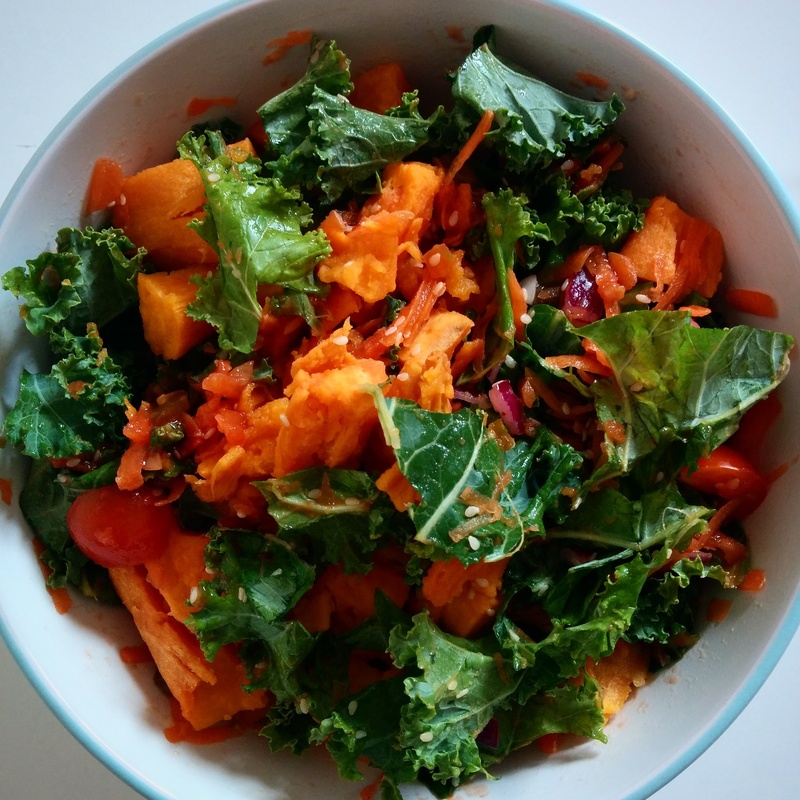 Throw together this simple kale and sweet potato salsa salad when you get home in the evening. I usually get home after the gym and a long day at work and I am starving and I want something quick and easy to make. I wasn’t blessed with patience so when I’m hungry I can’t wait long to eat something. This was super quick and easy to make. I threw this together after getting home from work not knowing what I was trying to achieve but it actually turned out really nice. 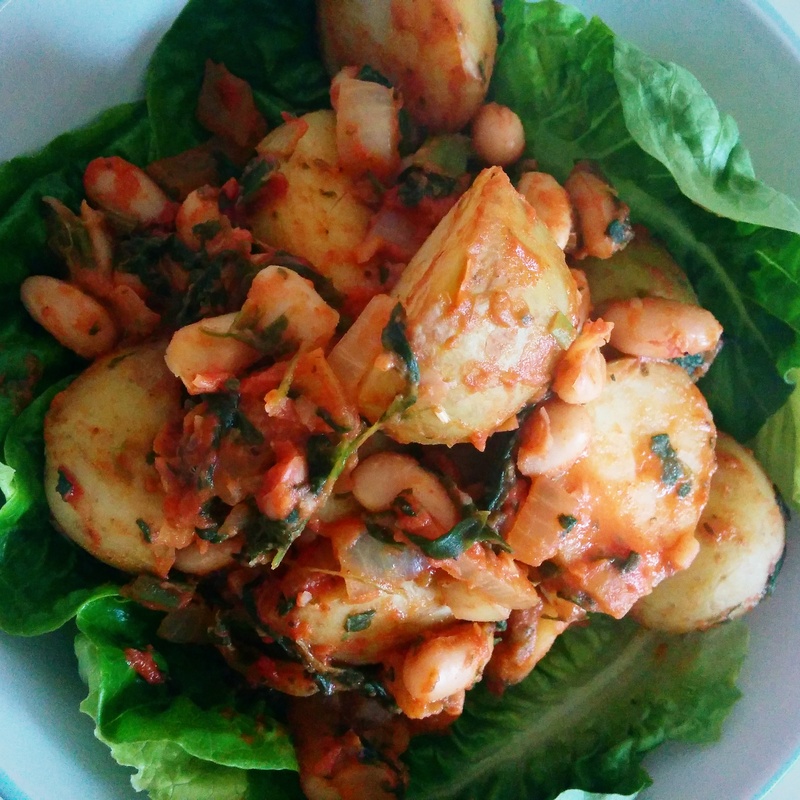 I already had a whole bunch of baby potatoes cooked from the night before, so I had to work with them some way or another.